Saves Time, Keeps Cost Low, and Maximizes Profit. 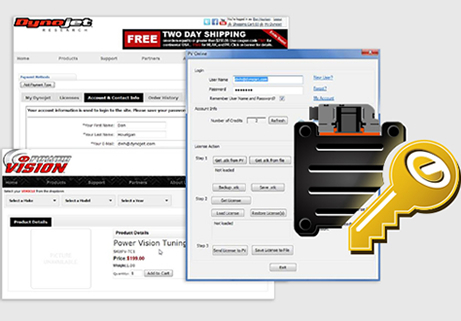 Acquiring and loading a Tune License into your Power Vision is quicker and easier than before. Simply launch WinPV, click on the PV Online icon, and in a few steps you’re ready to tune. If you need additional Tune Licenses, simply log into your account and purchase them. Every step of the process is now handled online, at your convenience. Use one Power Vision to tune multiple bikes! There is NO limit to the amount of ECM’s that can be tuned with a single Power Vision. Each bike to be tuned requires the purchase of a Tune License, however, the Tune License allows you to continue to flash tunes to each licensed vehicle as many times as you’d like.